Gervais HVAC is one of the best HVAC companies in Massachusetts offering expertise and customer service for all HVAC services rendered. Gervais HVAC is one of the most experienced family owned and operated HVAC contractors in Massachusetts with a large service fleet of the most highly trained HVAC technicians each with an average of over a decade in the HVAC industry in the Commonwealth of Massachusetts. Gervais HVAC installs and maintains HVAC System for large buildings such as universities, colleges, high schools, elementary schools, office buildings, factories, warehouses, small businesses, condominium complexes and individual homes. Gervais HVAC Tech team is dedicated to providing excellence in principle and practice pertaining to HVAC products and services coupled with a high level of communication to display first-in-class customer service to every HVAC customer. 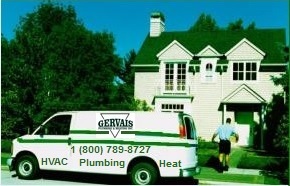 Gervais HVAC's technicians are direct employees of the Gervais Family as opposed to hiring sub-contractors. As a family owned/operated HVAC company, Gervais HVAC upholds the highest standards of excellence and expects all employees to embrace these standards. Gervais HVAC provides exemplary Heating, Ventilation & Air Conditioning Services and is one of the finest, top rated HVAC contractors in Massachusetts and pride themselves on 100% customer satisfaction for every service call or HVAC installation. Gervais HVAC offers online discount coupons for new residential, commercial and industrial HVAC system Installation, HVAC repairs and routine maintenance and offers service contractors for large companies in need of the highest quality heating, ventilation and air conditioning company in the Commonwealth of Massachusetts. Gervais HVAC System Design Engineers in Massachusetts are the best in the state.